Discovery Channel is our newest affiliate. Watch us this summer: July 8th, and 15th, August 5, 12, 19, 26, and Sept. 2 at 5 a.m. Eastern and Pacific time. Discovery and Destination America are available on both satellite and most cable systems. We air on Discovery’s Destination America, Aug. 26, Sept. 2, 9, 16, 23, 30 at 6:30 a.m. Eastern time. 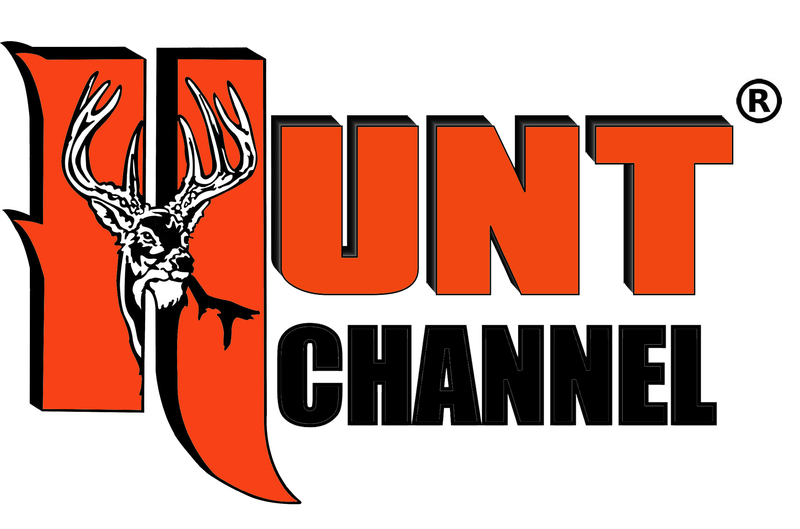 HUNT CHANNEL is our newest network, we air all week online. Air times/days: here. AMG-TV … go here to see if your local station carries their programming. We air Sundays at 10 a.m. Eastern time year-round. TUFF-TV … check here for nearby over-the-air stations. We air Monday-Friday at 1 p.m. Eastern time year-round. We also air on cable systems in South and North Carolina, Texas and the Chicago area. Your website indicates that you are on the Pursuit Channel starting in December, bit I cant find it on the guide or on Pursuit’s website. Are you still going to be carried on Pursuit? Yes. We launch in late December. They will update their program schedule soon. I have tried to find you on Dish 393, the show is listed as coming on, I set it to,record, but then it is removed from schedule. What is happening? If that is Pursuit, we are not on until January. Stand by. Do you up the caloric intake during the hunting season? Especially during a 5 or 6 day hunt in the Dakotas for pheasant. I have a nine year old GWP who is now on “senior” dog food. Yes, but it’s still hard to get enough calories in – physics – there’s only so much GI capacity in a day. So I go to more fat: in the food, on the food, and with my new dogenergybar.com, which I used for years before they lost their distributor, then I picked it up. Scott, Not all of your viewers participate in facebook, there should be other ways to enter your contests. Sorry Lee. That’s just how most contest apps work. I like simple, as I administer them. That’s a loaded question. Be gentle and strategic … he’s very young and impressionable, so err on the side of not creating a timid, scared, fearful dog. Teach name, “come,” and “no.” Keep each session short and help your dog succeed. Good luck. My question is about dogs in general. All my life I have had labs and love them for their wanting to hunt all day and play with the kids all night or just curl up and rest in their bed. But as I get older with 2 knee replacements and a twisted tenden in my left foot I start to think about my next dog maybe should be a pointer. Which I have no problem with as I have hunted with them as some of my friends have them. My question comes as what about a pointing lab I have never seen one work or know of anyone with one. Just wondering if you have seen or hunted with one and your thoughts. Thanks for a great show I watch all the time and wish I had your job. Thanks again and any input would be helpful. At least you were able to get new knees! The pointer strategy is a good one if you have patience. Generally, and depending on your expectations, you’re a year longer on the pup’s development versus a flusher. While some pups will hold their point long enough for you to get in position to shoot, most are basically big-running flushers their first season as they learn putting birds in the air and not getting them shot is not much fun. Have you considered an adult started or finished dog? I’m interested in finding out what channel and time I can watch Wingshooting USA. I have time warner cable and I’m in Southern California. We use to get the show on the Outdoor channel on cable what happened? Really Looking forward to, not only watching, but knowing when & where to watch your program. I have a 3 yr old English Pointer, Max. He’s the fifth bird dog that I’ve had & so far the best (hope I did jinx myself!). Have a great season Mike. Ravenwood Lodge…great memories Scott. Tell ken hi the nhext time you chat with him! Thanks Scott. Just got a new Llewelyn setter puppy. Pointed a bird yesterday at 9 1/2 weeks. Love your show. Always record and watch a couple of times. My lab/golden watches which is rather funny since she only retrieves balls at the ocean. Must be the lab in her. I am sorry to see the change to the discovery networks. As a ATT Uverse subscriber I won’t be able to watch like I have the past 3 years. You’ll have six other networks to choose from, Mel, so keep your fingers crossed. was just checking and NBC sports shows a paid program on the 22 for your time slot are you still going to be aired on NBC sports ? Dish Network has removed channel 240 (HUNT) channel. No notice at all. I called them and talked to several reps. They say they have no record of the channel ever being offered. Ray, Pursuit has moved to Channel 393 on Dish. See you there this fall! Scott, I love your show but It’s no longer on NBC outdoors in the Detroit area. Any plans to get it back up? Back on NBC following the Olympics. Meanwhile, watch on any of the other four networks, or right here. Do you know when your show that you taped in south dakota this fall will air? Hi Mike, we have tentatively scheduled the first hunt from Cheyenne Ridge for airing in late August, 2012. Stay tuned. Cant wait for this season to begin. Keep up the good work. Thanks Mitch. See you Friday on NBC Sports and all weekend on Sportsman, TUFF, Legacy and AMG. Enjoyed the show online. Very nice production. Also got a kick out of seeing my friends Terry and Nancy out in the field with their wonderful doggies. Grouse and Woodcock season is about to arrive here in the Adirondacks. Give me 10 Octobers in a year (I’ll give you one December for Christmas and I guess a July for the boaters and beach goers). Have a fantastic upland season! This morning was the first in a while that reminded me fall is just around the corner. Glad I posted an episode with Nancy and Terry in it! Hi Scott….thanks so much for the update on the new season and when/where the new shows will be broadcast! I’ve worn out the tv guide (satellite that is!) to find out the dates and times. I love your show and try to dvr the series so I can go back and watch them at my leisure. Yep, it won’t be long…my two favorite times of year are just around the corner! (I am also a traditional archer/bowhunter) I am NOT a summer time person, so I am looking forward to the fall and winter!! Take care…be safe…have fun…and thanks for sharing with us! Thanks and you’re welcome. Stay tuned here – more airtime/day information to come soon. Don’t forget to watch the commercials! Hey Scott I really enjoyed your show and the production is awesome. I appreciate you posting it as I don’t get the Sportsman Channel. It really got my blood pumping today and yes you do have a cool hat. Get Bertram to make you one of his fancy Lanyards. Thanks for the show. Glad you like it Glen. Your endorsement means a lot to me.Tell Bertram too! It’s nice to see dogs that are steady to wing, shot & fall featured on your show. That makes for classy dog work. Hopefully you will feature more hunts with dogs like that. Keep up the good work! Get a good look. My dogs aren’t near as steady! I would love to share our dogs for your next hunt. Your Arizona Steady to wing and shot GSP’s . Hunt’s you will never forget. Hey Scott, Orvis has some pretty stylish blaze orange hats. I have one and absolutely love it. Cabela’s has some options, too. Being a long-time DNR firearm safety instructor, please be very aware of each state’s laws/regulations associated with blaze orange requirements. BTW, the other poster Hugh is one of my Pheasants Forever chapter members (I am the local chapter president)…great to see him here, too. Thanks Scott. You’ll be seeing much more blaze in the upcoming season. I got the message! But don’t mess with my hat – it took years to achieve that stylish look: sweat, blood, mud, and some unidentifiable green stuff. It’s a keeper. Great show! I watch it as often as possible. As an avid upland bird hunter I’m very disappointed that you don’t wear blaze orange. In watching many of your programs I notice that almost everyone you hunt with is wearing blaze orange. Many years ago I almost shot a friend who was in head high cover. He had wandered away from the group and I didn’t know where he was. As he moved through the head high cover he flushed a bird. I turned to the sound of the flush and was about to shoot when I saw the blaze orange hat on my friend. You are a role model to other hunters. Wear blaze orange as a good example. Thanks for producing a wonder ful show, except for you know what. Thanks Hugh. I’m getting better about the orange thing, so please keep watching and keep score! This upcoming fall’s shows will be much brighter; I’m getting the message. Don’t know if I’m the only one–the video doesn’t work. audio but no video. Yep, mine works. Anyone else having problems?